Among states that are likely to benefit the most from the Panama Canal's expansion, Florida has been very proactive investing in infrastructure improvements—notably expansions at the Port of Miami. 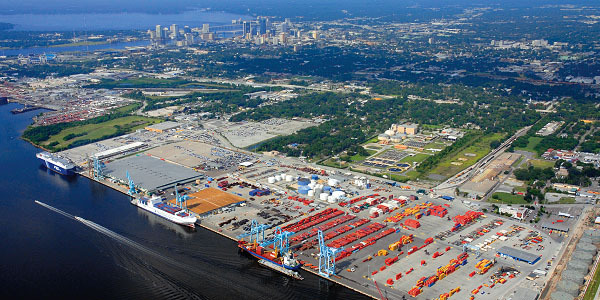 Now, Florida Inland Port has signed a memorandum of understanding (MOU) to create a strategic alliance with the Jacksonville Port Authority (JAXPORT). The agreement between one of Florida's largest seaports and the state's first rail-oriented, integrated logistics center helps pave the way for improved product flow through Florida and the U.S. Southeast. Similar to recent agreements with the Port of Miami and the Port of Palm Beach, the MOU establishes a strategic alliance that will enhance the exchange of ideas, sharing of resources, and consolidation of efforts associated with Florida's initiative to establish itself as a major player in international trade and logistics. It pledges mutual support between the planned St. Lucie County logistics center and JAXPORT, and reinforces the importance of the inland port as Florida's first dedicated logistics hub.